On Sat, 9 Feb 2019 00:14:24 -0500, "Carl"
The uglier the antenna, construction, or layout, the better it works. any version better than others? 5-25 MHz is practically DC as far as breadboarding is concerned. there is some thought needed to get good coupling into the coil. and a tuned series inductor for the transmitter tuning. (I'm not sure how the input was tuned, parallel C I assume. some Q on the input. drops of water. at ~20 MHz. ~100 Gauss at 3A. But lotsa turns and spendy. Helmholtz coil) gives the best homogeneity at the center of the gap. magnitude here or there . I designed the controller for a big FTMS. and they gave up 30 dB of s/n or so. It was ghastly. kill off the NMR and FTMS product lines. 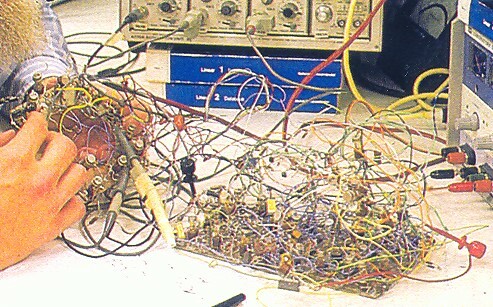 I have some planned preamp schematics around here somewhere. I didn't look at all the pics. I've been 1/2 thinking about this. A dual cross coil system has some advantages. Flip with one, sense with other. The two functions are naturally apart. That makes it easier to test when something is not working. The down side is inter-penetrating coils are hard. two coils. That would be fun... but more complicated. I think it would need to flow very slow because of waters long T1? Awesome. I think that might be what Norman did on our latest nmr thing. Norman was part of W-map at Princeton. Smart guy! and it's not made better by crappy tuning caps. magnetization change if you send the flow around a corner? 180 and back through some coil? I hadn't really thought about a flowing thing much..
length divided by the flow velocity. If you sent it along a helix, you might get topological phase too. 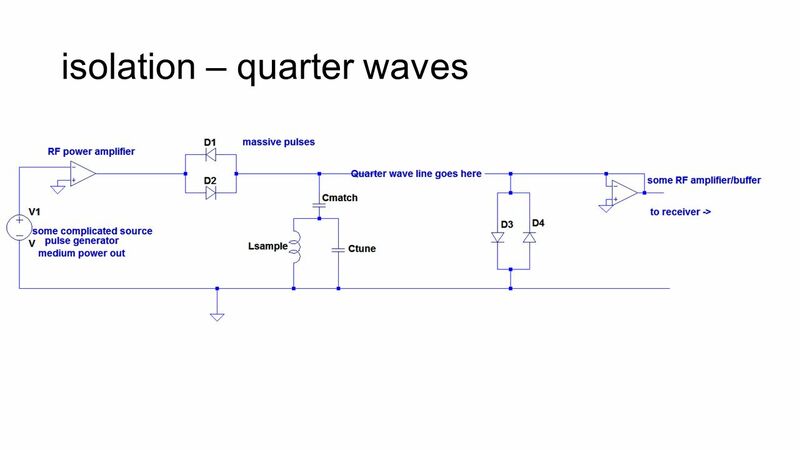 Hi all, A (mostly clueless) physics type wants to do some RF stuff. working, but construction is ugly. Pease photo seems to be a Heathkit 3-output, like mine. Reflected glory! working, but construction is ugly. I was thinking of recommending an ARRL handbook, is any version better than others? I will not disparage your lack of electronic posts/content for X-months. Got any other good stuff/ links? could buy you an un-birthday gift. I used to be grey. Not sure what topological phase is. the spins when they stay in the same field. was seen by flipping the spins in a 60 Hz field. field, else the spins get stuck at zero field. we greats of the English language spel as we ples. me look 20 years younger. Twenty years more immature. Vanity is a juvenile vice. English has a phrase for that particular form - "mutton dressed as lamb". In John Larkin's case the shepherds would be his denialist propaganda web-sites.